CARDINAL-designate Kevin J. Farrell believes the U.S. bishops as a whole should have discussed pastoral guidelines for implementing Pope Francis’ exhortation on the family before individual bishops began issuing guidelines for their own dioceses. The cardinal-designate was asked specifically about pastoral guidelines issued for the Archdiocese of Philadelphia by Archbishop Charles J. Chaput, who also is head of a U.S. bishops’ ad hoc committee for implementing “Amoris Laetitia.” Among other things, the Philadelphia guidelines state that while divorced and civilly remarried couples should be welcome in parishes and accompanied by priests, they may not receive Communion unless they live as brother and sister. 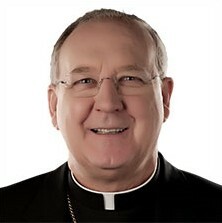 Cardinal-designate Farrell was bishop of Dallas and a member of the U.S. Conference of Catholic Bishops until September when he became prefect of the new Vatican Dicastery for Laity, the Family and Life. “I think that is what our Holy Father is speaking about, is when we talk about accompanying, it is not a decision that is made irrespective of the couple,” he said. “Obviously, there is an objective moral law,” he said, but you will never find two couples who have the same reason for being divorced and remarried. Catholic News Service attempted to contact Archbishop Chaput, who was unavailable for comment. Pope Francis’ apostolic exhortation on the family was published in early April. The pope continually has insisted that the document is about the importance and beauty of marriage and family life and the church’s obligation to support and strengthen it. But much of the debate has focused on the document’s eighth chapter that speaks of ministry to and access to the sacraments for couples in what the Catholic Church traditionally defined as “irregular situations,” particularly people who were divorced and civilly remarried without an annulment. Cardinal-designate Farrell insisted “Amoris Laetitia” is “so important” because of the way it explains and affirms the church’s vision of the joy and beauty of family life and the way it encourages better ways to share that teaching, especially in marriage preparation programs. While a few cardinals and bishops have disagreed with the general interpretation of Pope Francis’ exhortation, “I think the bishops are unified,” Cardinal-designate Farrell said. “Each bishop in his diocese has to set certain rules and parameters, but at the same time, I think that they need to be open to listening to the Holy Spirit and open to what the bishops of the world” discussed at the synods on the family in 2014 and 2015. Contributing to this story were Carol Glatz and Robert Duncan. 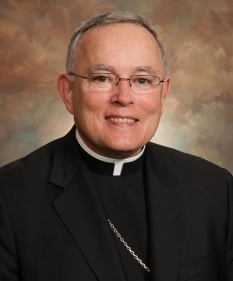 The CNS article contained some excerpts from Archbishop Chaput’s response to questions submitted by the bishops’ news service, referencing his understanding of the reception-of-Communion issue as well as why he judged it appropriate to issue the archdiocesan pastoral guidelines when he did. But much of the content of what the archbishop communicated to CNS was not reflected in the Nov. 15 article. and the archbishop’s closing comments noting that authority over the governance of individual dioceses rests exclusively with the local bishop, not with national bishops’ conferences. 1. Is your ad hoc committee planning a consultation with the entire USCCB about implementingAmoris Laetitia? It’s already done. The committee solicited thoughts and experiences from bishops around the country. That work was completed some weeks ago. The committee report was then presented to Archbishop Kurtz as USCCB president. Cardinal DiNardo, as the new conference president, will presumably act on it as he and conference leadership find appropriate. 2. Why did you feel it was important to issue pastoral guidelines in your archdiocese that went into effect July 1? Because both the final synod document and Pope Francis in Amoris Laetitia encouraged local bishops to do so. Actually, you ask a rather odd question. It’s more sensible to ask: Why would a bishop delay interpreting and applying Amoris Laetitia for the benefit of his people? On a matter as vital as sacramental marriage, hesitation and ambiguity are neither wise nor charitable. You’ll recall, I’m sure, that I was a delegate to the 2015 synod and then elected and appointed to the synod’s permanent council. So I’m familiar with the material and its context in a way that Cardinal-designate Farrell may not be. Amoris Laetitia was issued on April 8. Our guidelines were actually ready by June 1, after consulting our Priests’ Council, Archdiocesan Pastoral Council, auxiliary bishops, seminary faculty and a variety of liturgical, canonical and theological experts, both lay and clergy — all of whom made excellent suggestions. We waited until July 1 to complete a final review. Other bishops have issued their own guidelines and responses consistent with the circumstances of their dioceses, which only they, as local bishops, know with real intimacy. 3. Cardinal-designate Farrell has told CNS that he believes that, under Chapter 8’s guidance, a pastor cannot say to all divorced and civilly remarried: “Yes, receive Communion.” But neither can they say to all: “No, it’s not possible, unless you live as brother and sister.” How would you respond to this observation? I wonder if Cardinal-designate Farrell actually read and understood the Philadelphia guidelines he seems to be questioning. The guidelines have a clear emphasis on mercy and compassion. This makes sense because individual circumstances are often complex. Life is messy. But mercy and compassion cannot be separated from truth and remain legitimate virtues. The Church cannot contradict or circumvent Scripture and her own magisterium without invalidating her mission. This should be obvious. The words of Jesus himself are very direct and radical on the matter of divorce. 4. Do you have any other comments you would like to make? I think every bishop in the United States feels a special fidelity to Pope Francis as Holy Father. We live that fidelity by doing the work we were ordained to do as bishops. Under canon law — not to mention common sense — governance of a diocese belongs to the local bishop as a successor of the apostles, not to a conference, though bishops’ conferences can often provide a valuable forum for discussion. As a former resident bishop, the cardinal-designate surely knows this, which makes his comments all the more puzzling, in the light of our commitment to fraternal collegiality.